We are truly delighted to announce that Morocco Gold extra virgin olive oil is now available at the leading retailer, Bakers & Larners of Holt in Norfolk. To find a department store is quite a surprise in any small town. To find one of the class and quality of Baker & Larner in a place the size of Holt is quite astonishing. But nonetheless this store is a Holt institution, and has been here here since the mid-18th century under one name or another. The most obvious and useful part of the shop for the first-time visitor to Holt is the food hall, which rightly has a fabulous reputation for quality and is the ideal location for picking up local delicacies, picnic food – they do wonderful local pork pies, home cooked ham and have an array of cheeses that is second-to-none – and stocks the sort of international food that are often hard to find in the country. 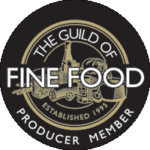 Often referred to as the ‘Fortnum & Mason of Norfolk’ it’s the perfect venue for picking up provisions if you’re self-catering and want to avoid the supermarket. Bakers and Larners recently completed a major refit of it’s amazing food hall. Visitors to the Holt store can look forward to a refreshed design, an exciting new look and additions to it’s extensive range of excellent foods. Morocco Gold id truly delighted to be included as part of this new look at Bakers & Larners of Holt.